Senior cruisers are a more diverse mix than ever before -- so much so, that this group is difficult to characterize. Not only do the ages of these travelers (ranging from their 50s to their 80s and beyond) extend over decades, but they also vary widely in terms of energy, activity levels and interests. Many of these cruisers probably don't even think of themselves as "seniors." 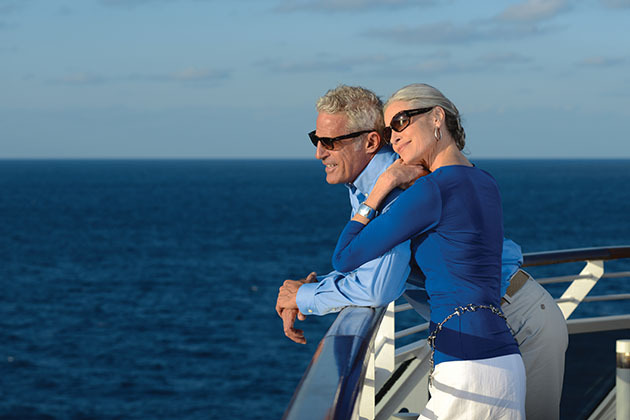 Yet even for the youngest seniors and for those who feel "forever young," the physical, emotional and situational changes associated with aging do influence a cruiser's choice and enjoyment of a particular cruise line, ship and itinerary. Plus, the circumstances of each trip -- a senior singles cruise, travel with a spouse or a multigenerational family vacation -- lend themselves to different lines each time. If you're over 55 and planning your next cruise, here are some factors worth considering as you choose the cruise that's best for you. Picking the right ship is essential for cruisers of any age. Here are a few things, older cruisers might want to consider as they look for the perfect cruise line and ship. 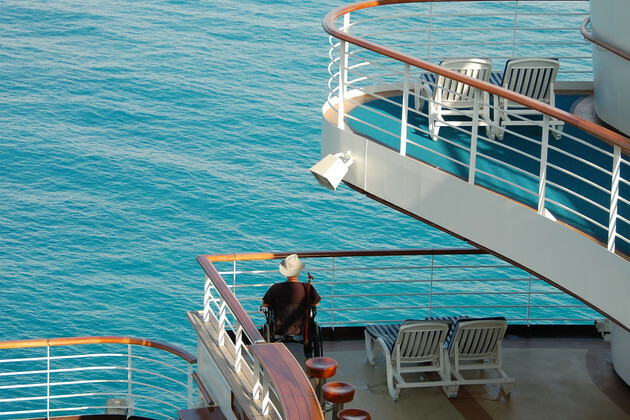 Many seniors prefer the intimacy of smaller or midsize ships. Although smaller vessels can't possibly offer the same bells and whistles available on bigger boats or mega-ships, they're more likely to exude a relaxed, comfortable ambiance that's appreciated by mature travelers. Plus, they're easier to get around. As a result, these ships tend to be dominated by older cruisers. (They also tend to be more expensive.) Think lines like Azamara Club Cruises, Ponant, Regent Seven Seas Cruises, Silversea Cruises, Seabourn Cruise Line, Viking Cruise Lines and Windstar Cruises, all known for their small ships. Or, consider the smaller ships of larger cruise lines like Princess or Holland America. Whether solo or coupled, seniors tend to prefer ships that cater to grown-ups, where they're more likely to find themselves surrounded by people who are closer to their own age and at a similar stage of life. In general, senior cruisers tend to enjoy ships with fewer kids running amok, too. Viking Ocean Cruises, which doesn't permit children under age 16 onboard, is a prime example of a line that's become a magnet for seniors. Many upscale lines like Oceania Cruises and Seabourn do not prohibit children onboard, but also don't offer any facilities or programs that would attract little ones or their parents. More family-friendly luxury lines, such as Crystal Cruises, also tend to draw mainly senior cruisers, with an increase of families and kid programming only during summer vacations and school holidays. Of course, the exception to the "no-kids" preference goes by the wayside when seniors decide to take multigenerational cruises with extended family in tow. For these vacations, they may opt for bigger ships -- ones large enough to offer children's facilities and a range of age-appropriate activities, so three generations of family members can enjoy time together, as well as have opportunities (on land and sea) to enjoy leisure pursuits apart. 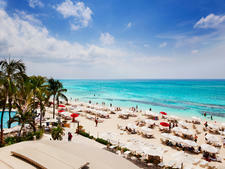 Options might include lines like Holland America, Celebrity Cruises, Disney Cruise Line or Norwegian Cruise Lines. Like other travelers, senior travelers' budgets vary, too. Some live on modest retirement incomes while others have the wherewithal to book luxurious suites on upscale cruise lines. Fortunately, there are enough choices across the industry to allow cruisers to find a voyage, itinerary and cabin at a price point and style that befits their preferences and circumstances. Recognizing that a significant proportion of seniors have no partners or prefer traveling solo, cruise lines have been carving out more single staterooms. 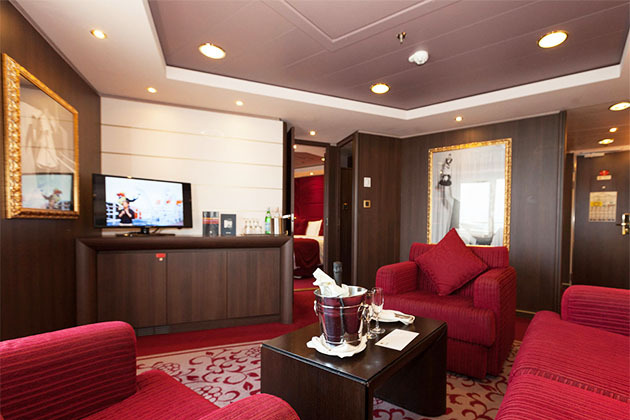 While Cunard's Queen Victoria and Queen Elizabeth both offered solo cabins in the past, the line added 15 new Britannia single staterooms on the Queen Mary 2 in summer 2016. Norwegian Cruise Line and Holland America Line are known for being solo-friendly lines; both offer some single cabins without the punishing "single supplement." When traveling with larger families, cruisers might want to look for ships with connecting staterooms. For example, Disney Dream and Disney Fantasy each offer more than 500 connecting cabins, some with veranda partitions that open up to create shared balconies. The Family Connected Junior Suites on Royal Caribbean's Quantum-class ships feature a junior suite, studio cabin and standard balcony cabin that link up to make one big family suite that sleeps 10. Many lines offer family suites that can sleep large groups. Two-bedroom Royal Family Suites on some Royal Caribbean's ships (including Adventure, Allure, Anthem and Explorer) can accommodate a family of up to eight persons, offering a separate living area, extra bathroom and other amenities. The Presidential Family Suite on four Royal Caribbean ships can sleep 14 with four bedrooms. 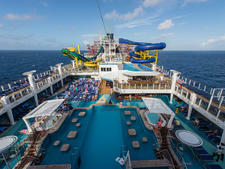 Three-bedroom Garden Villa Suites on Norwegian Dawn and Star can also accommodate as many as eight guests. Another excellent option for multigenerational cruising are cabins with suite complexes, such as MSC Cruises' Yacht Club and Norwegian Cruise Line's Haven. By choosing staterooms or suites in these enclaves, seniors can enjoy the benefits of being on a larger ship while also being able to retreat to less-crowded, limited-access restaurants, lounges and sun decks. Select Royal Caribbean and Celebrity ships offer a Suite Class for upper-category cabins; while the suites aren't grouped together, residents still have access to exclusive restaurants, lounges and deck areas. Due to mobility, sight, hearing and other health issues, some seniors require accessible cabins. Although most ocean cruise lines offer accessible cabins (and tend to do a better job than river cruise ships in providing accommodations for disabled passengers), the number of accessible cabins on any cruise ship is likely to vary. Plus, even within a fleet, accessible cabin features aren't standardized, so passengers need to ask specific questions of specific ships to determine what they can expect. In general, newer ships and ones that have been recently refurbished tend to be more wheelchair-friendly. However, because special needs vary so widely, it's always prudent to find out whether a cruise line or a particular cabin will be able to address your individual needs. Note, too, that some lines require disabled individuals to travel with a companion. Often a travel agent can be invaluable in helping individuals with disabilities identify the best ships and cabin categories for their next voyage. Empty-nesters, no longer juggling family and careers, are often able to travel for longer periods of time. 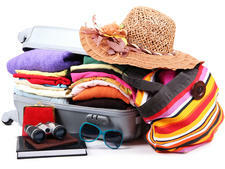 Thus, the longer the itinerary, the more likely you are to find other senior travelers. Many of these cruisers want to travel deeper, returning to places they've previously been (perhaps on a land tour or another cruise) when they only had time to brush the surface. Or they might be first-time cruisers finally taking a long-awaited bucket list trip. Retirees have the luxury of taking longer voyages, and many cruise lines that cater to this demographic offer trips that last weeks or even months. 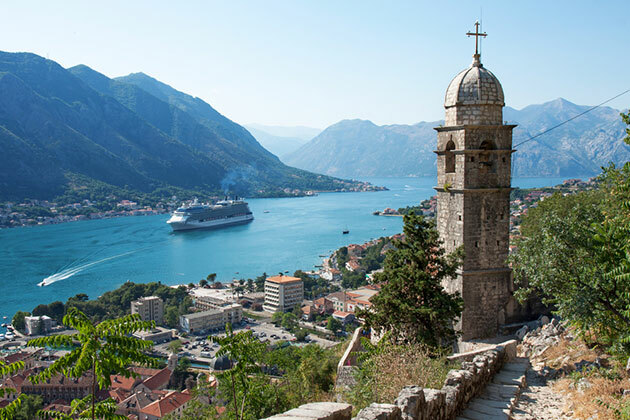 Seabourn offers Extended Explorations cruises, one for as long as 152 days, that allow cruisers to spend an extended time in a particular region or to travel from one region to another. 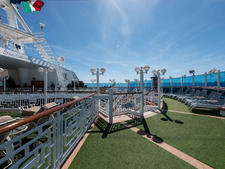 Similarly, Oceania Cruises offers more than 100 Extended Journeys and Grand Voyages that are 30 days or more in length. Oceania's Around the World cruise is 180 days long -- the longest world cruise you can book. Senior travelers also tend to favor cruise lines, like Viking Ocean Cruises, Holland America Line and Azamara Club Cruises, that offer itineraries with more time at each port. Holland America tries to schedule at least eight hours in each port, and includes some itineraries with overnight stays at iconic European capitals like Amsterdam and Copenhagen. Viking and Azamara also curate their itineraries to maximize overnights, enabling visitors to experience the same port during the day as well as after dark. Senior cruisers -- who may be retired, working fewer hours or have achieved some degree of job flexibility -- often are in the enviable position, too, of being able to travel offseason or on repositioning cruises. On these itineraries, your dollars go farther, and are often a good bet for travelers on a tighter budget. 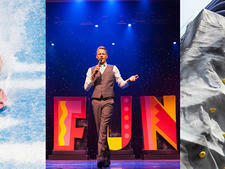 Throughout the year, cruise lines offer special themed sailings designed to appeal to different types of interests. On them, senior cruisers can meet kindred spirits. For example, Cunard partnered with The Greatest Generations Foundation to commemorate the service of veterans of World War II on a special transatlantic crossing. On Seabourn, travelers interested in wellness can cruise with Dr. Andrew Weil. Oprah fans -- who wish to reinvent themselves, learn healthy eating habits or make friends with other book-lovers -- can sail on one of four Holland America itineraries to Alaska and the Caribbean in 2017–2018, developed in partnership with the glossy magazine that bears her name. For amateur shutterbugs, Cunard offers photographic journeys to the Norwegian fjords and Arctic Circle. Other theme cruises industrywide are themed around golf, sports, food and wine, financial planning and music. In choosing a cruise line, many seniors also check out the enrichment and entertainment options that will be available to them once they're onboard. Many onboard enrichment programs, which are especially popular on relaxed sea days, cater to those seniors who are lifelong learners. It's common for cruise lines to bring guest lecturers onboard to share their knowledge about topics related to the cruise destination or of general interest to its passengers. Seabourn's program, called Seabourn Conversations, invites celebrities and experts from the arts, sciences, politics and humanities onboard for lectures, presentations and hands-on demonstrations. Viking Ocean Cruises has a Resident Historian Program designed to enhance the cultural and historical context of cruise itineraries through lectures, small roundtables, themed dinner discussions and even one-on-one "office hours" with experts. Other lines utilize days at sea to teach cruisers new skills or let them dabble in areas they enjoy, such as cooking and art. Crystal Cruises has a Creative Learning Institute that features a range of programs such as Berlitz language courses, wine-tasting events, computer classes and Yamaha music lessons. 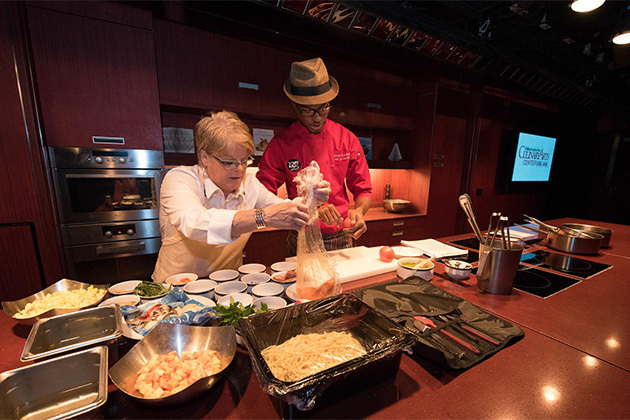 Oceania Cruises, known for its standout culinary program, has state-of-the-art Culinary Centers on Marina and Riviera where passengers can participate in hands-on cooking classes, and learn recipes and techniques tied to the ports being visited. Aspiring artists onboard Oceania ships can polish painting and drawing skills in workshops in the ship's Artist's Loft led by experts in their fields. Seniors who enjoy an evening show should pick their cruise line wisely. The big-ship lines use more modern pop and rock music in their performances, and Norwegian and Royal Caribbean even have Broadway shows on certain ships. The smaller, more upscale lines tailor their entertainment to appeal to cruisers of a certain age; for example, the music soundtrack on Oceania features nostalgic tunes from crooners like Peggy Lee, Elton John and Frank Sinatra. On Viking Ocean Cruises, passengers enjoy folkloric and classical music performances. To a large degree, old is a state of mind. So don't make the mistake of thinking that all senior cruisers are sedentary. Au contraire. Many senior cruisers are mentally and physically active, seeking opportunities to learn new skills and experience adventures in the outdoors on shore excursions. Luxury cruise lines are expanding their shore excursion options to incorporate more active excursions. For example, an expedition team leads optional Ventures by Seabourn excursions on select itineraries, with such opportunities as trekking adventures on scenic islands, up-close wildlife observations and surveying icebergs. Crystal Cruises offers adrenaline-pumping adventures, such as hot-air ballooning in Italy, flying a MiG fighter jet in Russia and cage-diving with sharks in Cape Town. For senior cruisers who have time for cruise add-ons or want to explore major cities or inland destinations in-depth, several lines offer multiday tours. Crystal Cruises offers both pre- and post-cruise Extended Land Programs (ranging from two to eight days) in places like Paris and Alaska's Denali National Park, as well as off-the-ship overnight excursions, called Overland Adventures, which allow passengers to explore cities in greater depth. On Celebrity's Multi-Day Adventures, passengers can spend a night or more off the ship exploring fascinating cities like Bangkok, Beijing and Hanoi, before rejoining the ship at its next port. Cruise tours -- bus tours before or after your sailing -- are popular on many lines in Alaska and Europe. Food enthusiasts can really get into the cultural heart of a cruise region with dedicated food and wine tours. Oceania Cruises has created Culinary Discovery Tours at select ports, where passengers can accompany the chef to local markets, tour regional wineries or dine at Michelin-starred restaurants. In Barcelona, for example, the excursion includes visits to the Boqueria and Santa Caterina markets followed by a tapas lunch. Seabourn offers complimentary Shopping with the Chef excursions that allow passengers to accompany the ship's head chef on a buying spree in a local market. Whether traveling on land or sea, seniors need to be conscious of their health, safety and access to medical care -- especially when traveling to remote destinations. By planning ahead, passengers can know what to expect and what special equipment or accommodations will be available to assure a safe and enjoyable journey. It's prudent for passengers with impaired mobility, chronic health concerns or special dietary needs to take responsibility for their own well-being. This often entails notifying the line of any special needs requiring accommodations or special equipment at least 30 days before sailing. Most cruise lines have dedicated staff available by phone to field questions from prospective passengers so that they can know what to anticipate and work together with the ship's crew to assure that a voyage is as hassle-free as possible. Most major cruise lines are equipped to provide 24-hour care for minor health problems (e.g., nausea, seasickness, colds, etc. ), can dispense certain medications and are trained to stabilize patients in the event of a medical emergency. However, for more significant problems (cardiac symptoms, stroke, a major fall, etc. ), a seriously ill passenger will likely need to be transported to the nearest land-based medical facility. Larger and newer ships tend to be better equipped. Cruise lines and ships differ, too, in terms of their ability to accommodate passengers with disabilities. (Some cruisers with disabilities prefer to sail on newer ships rather than those that have been retrofitted.) On their respective websites, cruise lines often provide ship-specific diagrams and information regarding accessibility of cabins, elevators, bathrooms, pools and public spaces, which can be invaluable to travelers who rely on wheelchairs or mobility scooters. Or, work with a travel agent knowledgeable about accessible travel.